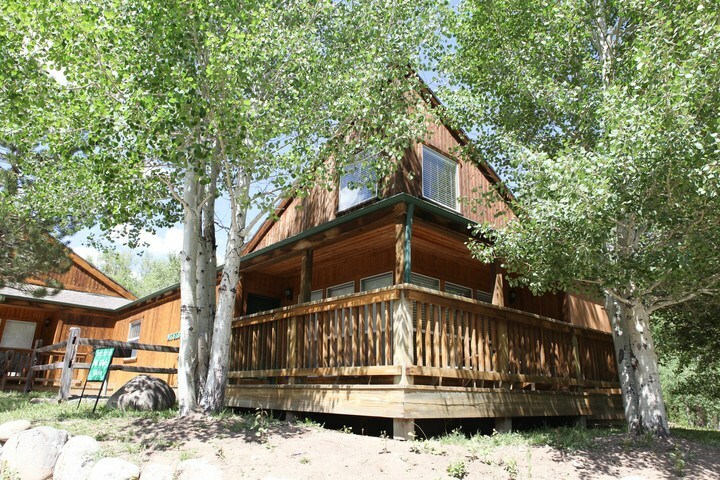 If you’re visiting Salida with friends or family, one of our two-bedroom cabins might be the perfect fit for you. They have sleeping accommodations for up to 10 people, which include one King bed, two Queen beds, a Queen Murphy bed, and a sofa sleeper. You’ll enjoy a great layout that offers plenty of space for everyone to gather together as well as plenty of privacy for those who want some quiet time. Each living room boasts vaulted ceilings, a 55-inch LED TV, and a gas fireplace, as well as charming decor and furnishings. 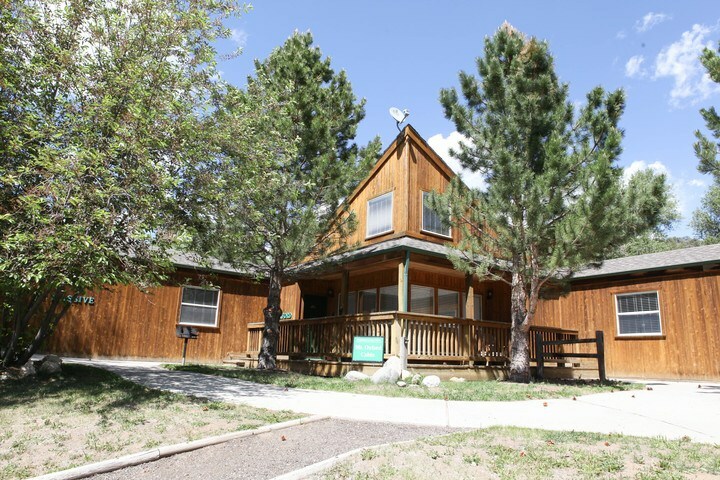 The cabins feature fully equipped kitchens that come complete with all the appliances, utensils, and dishes you might need during your stay. You’ll also find a charcoal grill right outside, which is a wonderful addition during the summer months. For the ultimate in relaxation, each cabin boasts its own private outdoor hot tub. Our two-bedroom cabins are wonderful retreats all year round. For more information on these cabins, click on one of the pictures below.